this week I’m waiting on Dorothy Must Die by Danielle Paige (expected publication: 1st April 2014 by HarperTeen). It’s a YA Fantasy Retelling (based on The Wonderful Wizard of Oz by L. Frank Baum, as you might have guessed). I find the cover very eye-catching and the fact that this book sounds very Wicked-like doesn’t hurt either… I’ll definitely read it when it comes out! There is a prequel to this story: an e-novella published on 12th November 2013 by HarperCollins. It’s called No Place Like Oz. In this digital original novella, Dorothy travels back to Oz to reunite with old friends, but her story may not have a happy ending. No Place Like Oz is a prequel to the forthcoming novel Dorothy Must Die. Perfect for fans of Alex Flinn, Marissa Meyer, and Gregory Maguire, No Place Like Oz is a dark reimagining of The Wonderful Wizard of Oz by L. Frank Baum. Building off of its rich mythology, Danielle Paige creates an edgy, thrilling story for teens that chronicles the rise and fall of one of the literature’s most beloved characters. 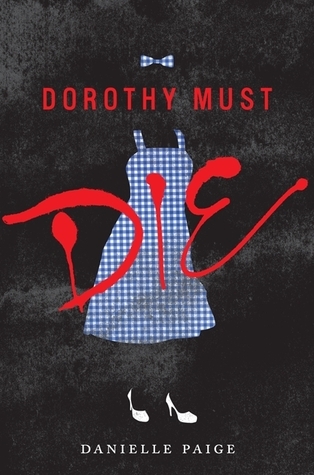 Have you heard of Dorothy Must Die? Is it on your TBR list? 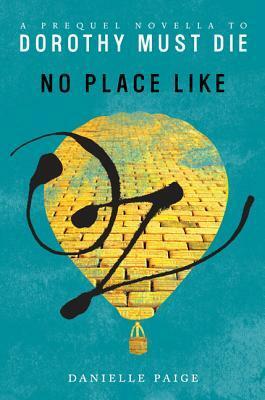 Have you read No Place Like Oz yet? What are you waiting on this week? This entry was posted in Waiting On Wednesday and tagged Danielle Paige, Dorothy Must Die, EM Castellan, fantasy, No Place Like Oz, retelling, The Wizard of Oz, Waiting On Wednesday, Wicked, YA Books, Young Adult literature.